As a travel writer, I stay in a lot of hotels. 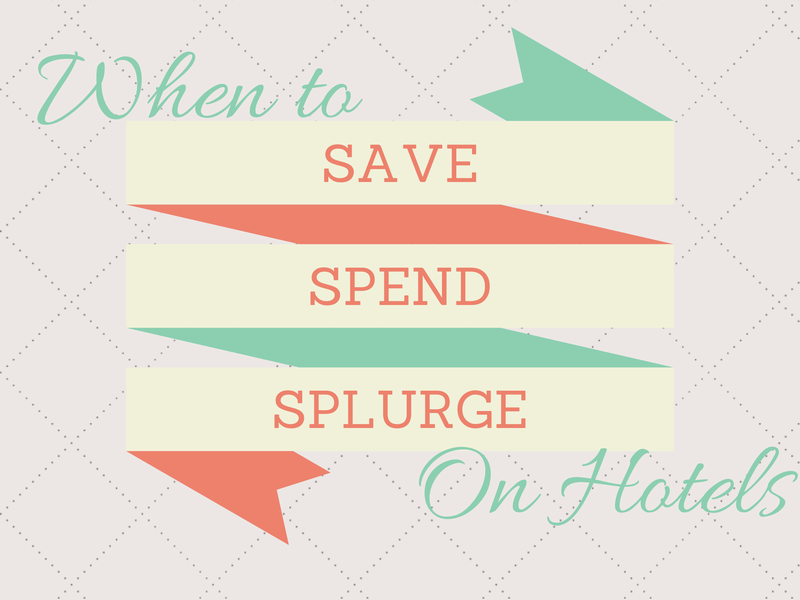 In the past, I have learnt some vital lessons on when to save, spend, and splurge on hotels. Here is my guide on when and where to spend money and when you are better off saving your cash for other things. Save: Nothing will ruin a trip faster than being in the wrong location. Before booking a hotel you need to determine where you want to spend the majority of your time on your vacation and how accessible that point will be from your hotel. Going to a city with great transit? Then save a least $100 by booking outside of the downtown core. Spend: Bad or no transit can kill your vacation budget. What money you thought you were saving will be spent on parking, gas and may be outweighed by the frustration of sitting in traffic and the loss of time in your ultimate destination. Research the transit options wherever you are going and the parking costs to determine when you need to spend a little more on a hotel to inevitably save money. Splurge: Major cities have some amazing hotels and sometimes its worth even just spending a night in one. Sometimes you just need a break from hard living however you define that and frankly expensive hotels are a great way to get away from it all. Its also usually a very different experience to stay right in the action. When visiting New York, I tend to book a cheaper hotel on the outskirts and then spend one night in a great hotel like The London NYC. Splurge and Save: Instead of booking a weekend getaway with flights or car travel, consider splurging on a great hotel within or near your own city. For me, its the Four Seasons Toronto. What you save on flights you can spend in the spa and you probably won’t want to leave the hotel anyways. I sometimes check into hotels in my own city, turn of my phone and computer and spend 24 hours of pure bliss. It truly takes the frustration out of vacations and I always spend less money than if I had gone away. 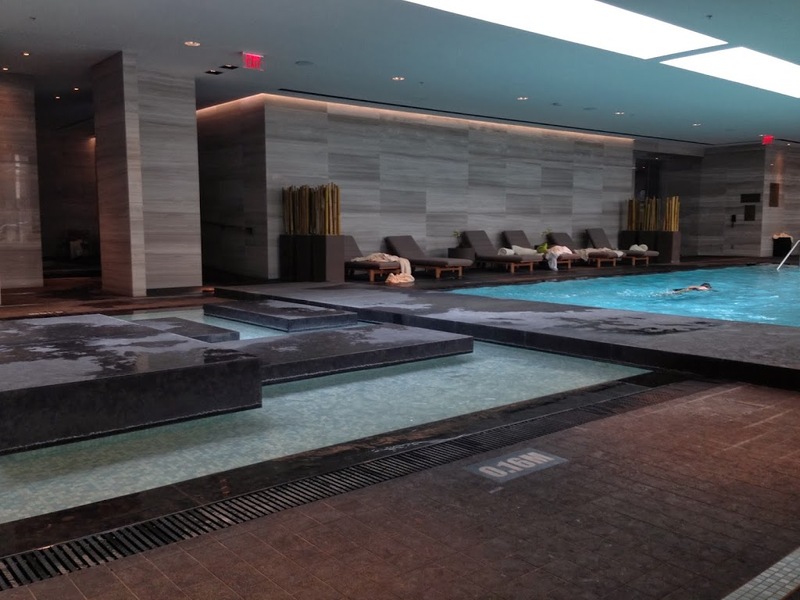 The Relaxation Pool at the Four Seasons Toronto. Save: Tied directly into location, safety is a huge reason to spend or even splurge on a hotel room. Going somewhere where safety isn’t really a huge concern? Don’t be afraid to book hotels or motels with direct ground level outside access to rooms. Research the area first and if there isn’t really a history of break-ins or crime, chances are you won’t be the first victim. Spend: Even in America, we have stayed in cities where every major hotel had security at the door. There is usually a reason for this. Worrying about where your car is parked and what you can and cannot leave in a room will make your excursions less fun. In New Orleans, we stayed at the Hyatt Regency New Orleans where your elevator card gave you access only to the common rooms and the exact floor you were staying on. I found that I felt safer because of this and the hotel was quite a bit quieter at night than I expected. People were not lingering in the halls but meeting in the common spaces instead. Splurge: Going somewhere with high crime rates or cities where tourists are often targeted? Its time to splurge. No one wants to spend their entire vacation looking over their shoulder in fear. If going somewhere that might be stressful to visit, make sure you pick a safe home base even if you have to splurge. The down time not worrying about your safety will make your outside the hotel explorations easier to deal with. Splurge hotels will often provide you free transportation to tourist destinations as well as give great advice on where or where not to venture. Save: Heading somewhere cold in winter and not spending a lot of time at the hotel? Don’t pay extra for a hotel with a pool unless you are actually going to use it. Also, don’t always assume that expensive hotels will have the best pools. 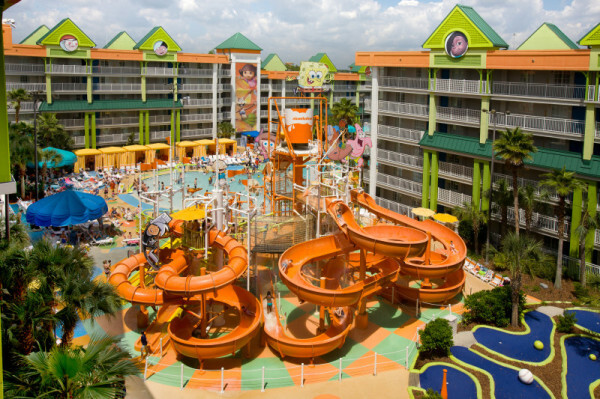 In Orlando, I love staying at the Nick Hotel which has two great pools complete with water slides. With rates as low as $99 a night, you will save a lot of money staying at this hotel with built in water park. The food in the hotel is also cheaper than a lot of the Disney area hotels. The Nick Hotel in Orlando is an awesome save. Spend: Going south in summer? Book a hotel with a pool. 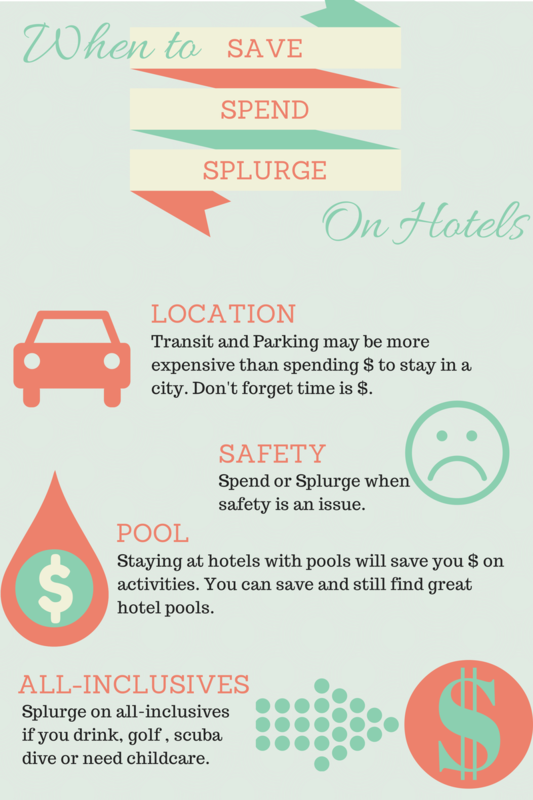 Even major cities often have hotels with rooftop pools and it can save your vacation. To say it is hot in July in New Orleans is an understatement. We met tons of adults traveling solo who were also glad they were staying at a hotel with a pool. By 3 pm, exhausted hot tourists all met by the pool to cool off and compare their days. A pool can be the break you need and its worth spending a little extra money to have one in your hotel. When traveling with my kids, I know the pool is the perfect reward after a long day and I’m very hesitant to book any hotel without year round pool access. Tip: If you do spend on a hotel for pool access and for some reason the pool is closed, ask for a discount. When we visited Disneyland last year, the pool was closed for a commercial shoot. I asked for a discount and while the pool closed and our room rate was reduced from over $300 to $125 a night. Splurge: Sometimes it is worth it to spend more on a hotel to get access to great pools and water parks. A good example of this is the JW Marriott San Antonio. With the size of the water park, you won’t need to spend money on visiting actual water parks. 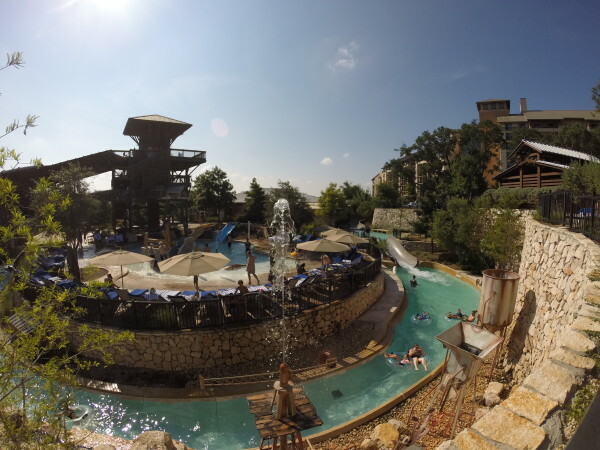 In San Antonio, water parks started at $30 admission per person at the gate. Once you factor in parking and gas, you probably could have booked a higher end hotel like the JW Marriott San Antonio for the exact same cost. Hotel pools tend to also have more reliable down times where you can have the amenities almost to yourself. Try to book arriving mid week and leaving on a Friday or arriving Sunday morning and you will find the pools and slides are less full. Its harder to project when an amusement park or water park will have similar downtimes in the summer due to group visits and kids camps. Save: All-inclusive resorts can be great but that does not mean that they are worth the money for ever traveller. If you don’t drink alcohol, you probably will be wasting money by booking an all-inclusive resort. 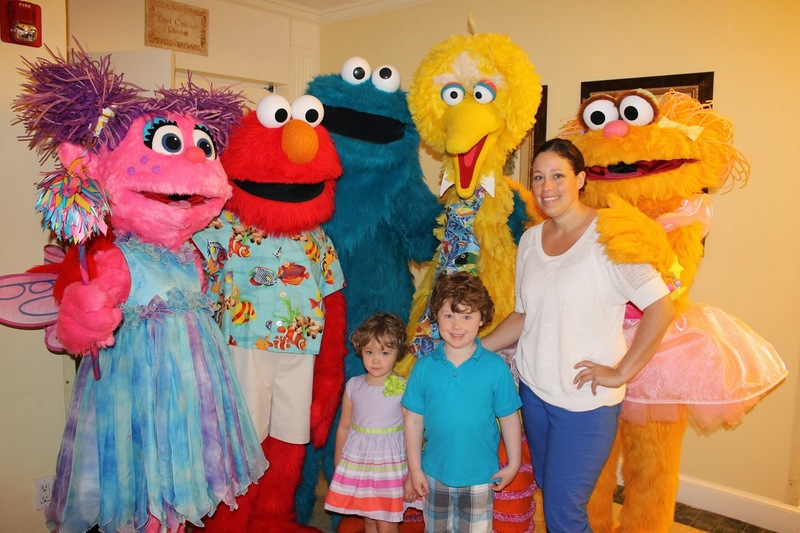 My favourite all-inclusive with kids, Beaches Resorts, factors in a lot of money for child care. Don’t have kids? Stay on a cheaper property near by which will have all the same amenities and beach access without the extra cost. 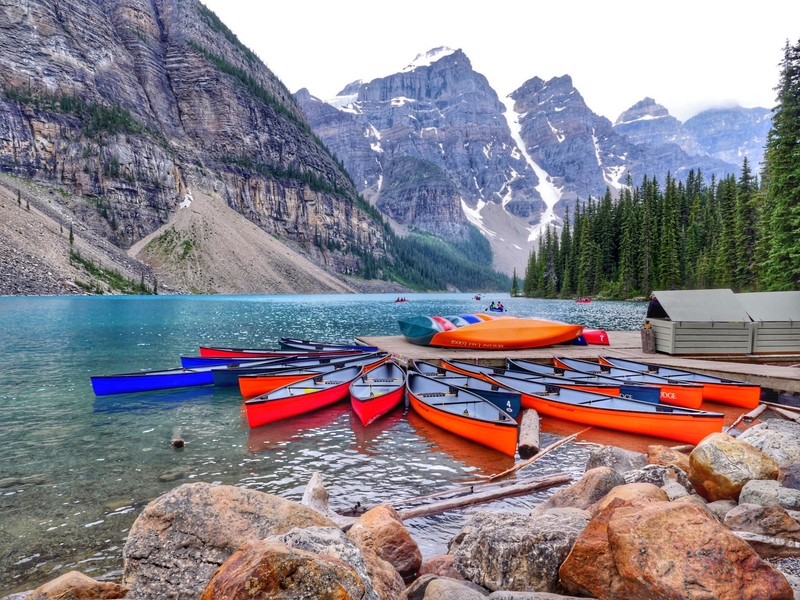 Spend: If you have expensive interests like scuba diving and golf, it often makes sense to spend a little more on a resort where these activities are included. Off-property scuba diving and non-included golf can run you hundreds of dollars a day. This is when it makes sense to splurge on Beaches Resorts or Sandals which offer unlimited scuba diving and golf. How do they do it? Most guests don’t take advantage of these amenities so the ones that do tend to benefit from the extra spend. Charlie, Will, Me and the Sesame Street characters at Beaches Resort. Splurge: There are many reasons to splurge on all-inclusive resorts. Mine are that I like good wine and food. Also, because I travel solo I need childcare I can rely on and trust. I also want my kids to be in kids camps that are fun and not locked inside while I am out golfing. In the past, my biggest splurge was a last minute trip to Beaches Turks and Caicos when my father started a serious decline with Alzheimer’s disease. The vacation gave me the time I needed to process and make level-headed decisions and also gave my children time away from all the stress. Each morning, they headed to camp to swim, play and run around the property while I took time to just think and relax. Our afternoons were spent together and it is to this day one of the best vacations we have had. Tip: When researching a Beaches vacation, the initial sticker price can be shocking. I will attest in the three times I have visited the property, I was shocked by how little money I spent on site. It is truly possible to go to this resort and not spend another dime. With airport transfers, all food, drinks and gratuities already paid for, there are few places to actually spend money on-site. Travelling is expensive. If you want to be able to travel more each year, consider when you should save, spend, and splurge on hotels before booking. Research what food, parking and transit costs will run you and make the best decision for the vacation you want to have. Love these tips! There are definitely things you don’t want to skimp on on vacation! Location location location is everything when it comes to booking a hotel. We stayed in stockholm a few years ago; it was cheaper for us to stay at a lovely Radisson hotel at the airport then in a dorm in the city centre – we chose the hotel as we had an early morning flight. You are so correct, if there is great transport link then saving a few bucks by booking a hotel on the outskirts is always a great idea! Such great trips! Its always location for us. Especially if a taxi to and from attractions is more than the extra $$ to stay close by. Thanks for linking up to #SundayTraveler. I definitely agree on location – it’s the number one thing I’m willing to pay extra for! In terms of safety, of course, there are places you don’t want to wander around alone at night in any city, and that means there are hotels where you wouldn’t feel safe walking home alone after a late dinner. As a women who usually travels alone, I definitely think about this when choosing where to stay. But I still kind of feel bad for anyone who visits a new city and then only visits the hotel-recommended ‘tourist safe’ areas. And, as a former New Orleanian, I can assure you, your hotel’s security checkpoints are because their guests have an exaggerated fear of the ‘dangerous’ city and want to be separated from actual residents, not because they’re necessary. That close to the ‘tourism’ section of NOLA, the only threat is fellow visitors who are only there to get drunk. And the best way to avoid those types is by staying a few streetcar stops away, in the more residential areas.